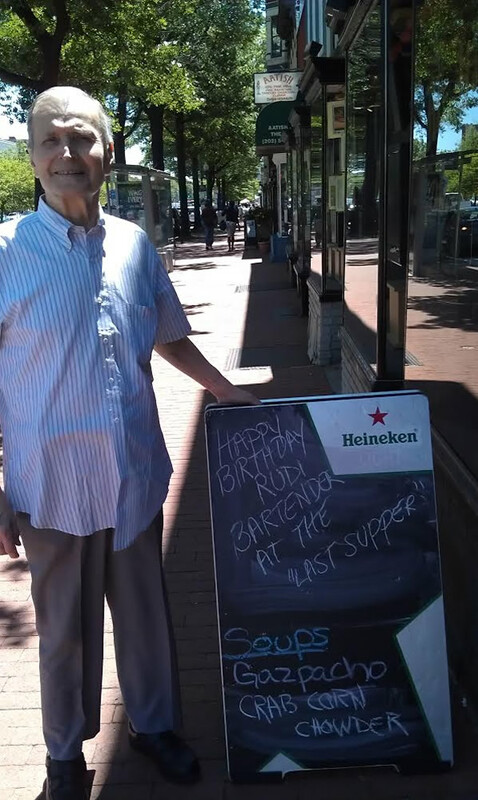 July 24, 2014 at 12:00 pm EDT | by Lou Chibbaro Jr.
Rudi Appl, a bartender at Mr. Henry’s restaurant and pub on Capitol Hill for nearly 50 years, died July 16 at his home from complications associated with heart disease. He was 79. Longtime friends and co-workers at Mr. Henry’s say Appl’s bright and charming personality, his skills as a listener and conversationalist along with his distinctive accent as a native of Czech Republic appeared to immediately win over the affection of everyone that came in contact with him. “I never heard him ever say a bad word about anybody,” said Walter Quetsch, a longtime Capitol Hill resident and Mr. Henry’s patron in whose basement apartment Appl lived for the past 33 years as a tenant. Chuck Sharman, a fellow bartender at Mr. Henry’s and a friend of Appl’s, said he has a copy of one of Appl’s immigration documents that shows he was born June 6, 1935 in Brno, the largest city in the region of Moravia in what was then Czechoslovakia and is now part of the Czech Republic. Friends point to what they call Appl’s fascinating and colorful background prior to his move to Washington in 1966 that emerges from people like Sharman and others who knew Appl. More details of Appl’s background surfaced in a an interview and detailed profile of Appl written in May of this year by local businessman and writer Joe Englert for the Washington City Paper. Englert reports that Appl told him that at the age of 9 his father arranged for him to escape World War II in Europe by sending him to Beirut, where he was enrolled in the American School. After the war the family reunited in Frankfurt, Germany, and settled there for a number of years, Appl said in his interview with Englert. At about the age of 21 he and his parents moved to Canada and settled in the Canadian Rockies, where Appl worked for a while in the oil fields as a “roughneck.” He later began work in the hospitality industry at a resort near Alberta before going to Nassau in the Bahamas to work at the Paradise Island resort owned by famed businessman and A&P Supermarket heir Huntington Hartford, according to Englert’s profile. Appl says in the interview that he became Hartford’s drinking buddy and assistant and had a chance to mingle with the rich and famous at the resort and during trips with Hartford to Hollywood. He first came to D.C. in 1963, became attracted to the U.S. capital, and traveled back and forth between Paradise Island and Washington until he decided to settle in D.C. for good in 1966, Englert reports in his profile. Alvin Ross, the current owner of Mr. Henry’s, said he met Appl and became friends with him when the two first started working there as bartenders. 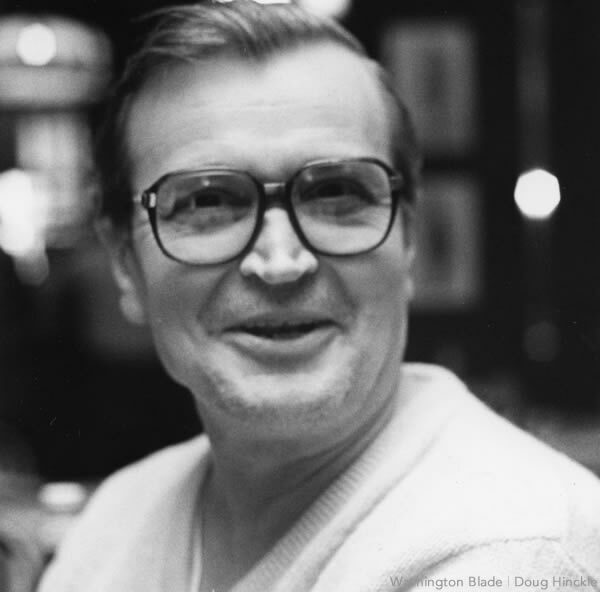 The late Henry Yaffe, the founder and original owner of Mr. Henry’s, had just bought the establishment, which, at the time, had been operating as a country-western bar called the 601 Club, Ross told the Blade. Ross said Appl had been working at the 601Club “and came with the bar as part of the deal” when Yaffe bought the business. Yaffe transformed the place into a Victorian pub, with furnishings and decorations of the Victorian period of the late 1800s, when many of Capitol Hill’s homes and buildings, including the nearby Eastern Market, sprung up in the surrounding neighborhood. Appl, who was gay, got along well with the highly diverse crowds that have patronized Mr. Henry’s, both gay and straight, black and white, and families with children, according to longtime customers. Ross noted that Appl at some point moved into the second-floor apartment above Mr. Henry’s as a tenant shortly after Yaffe became the owner. Ross and others who knew Appl have said he loved to tell the story of how he was “evicted” from the apartment as a result of famed singer and songwriter Roberta Flack, who got her career start at Mr. Henry’s. As Appl told friends, he took a vacation in Europe to visit relatives after Flack began performing there in the late 1960s. During his absence Flack became such a sensation and an attraction that Yaffe converted the apartment into an extended space for Mr. Henry’s, where Flack performed to overflowing audiences. Upon his return to Washington Appl discovered he no longer had an apartment, joking to friends that he was evicted because of Roberta Flack. However, he quickly found another apartment and continued to work at Mr. Henry’s as a bartender. A short time later, he moved into the English basement apartment at Quetsch’s townhouse on the 300 block of C Street, S.E., where he remained until the time of his death. “Somehow or other we came to an agreement that he didn’t have to pay rent,” Quetsch said. Englert reports in his City Paper profile that in the following years Appl, while working as a bartender, became a part-time real estate investor, buying and selling houses in the rapidly gentrifying Capitol Hill neighborhoods in the 1970s. The extra income enabled Appl to pursue his love for traveling throughout the U.S. and Europe as well as other places such as Thailand. Ann Bradley, a longtime Capitol Hill resident and Mr. Henry’s patron who, like many others, became friends with Appl, said she enjoyed listening to his frequent stories about getting to know famous people, including Hollywood celebrities. Bradley told the Blade she remained a bit skeptical, thinking that Appl may have embellished some of these stories. But around 1984, when Appl took her to a D.C. nightclub to see famed singer Peggy Lee perform, she witnessed first-hand his connection with at least one mega-star. “After the show ended he said I’m going to go up and say hello to Peggy,” Bradley said. “And I thought, umhum, yeah right. He walked up and said something. And she didn’t say Hi Rudi,” Bradley recounted. “But she did say, ‘Oh, how are you!’ And they started talking and everything,” convincing Bradley that Peggy Lee genuinely appeared to recognize and show affection for Appl. Eric Monaghan, a longtime friend and next-door neighbor, said Appl became a mentor to him after the two first met in the early 1970s. Terry Michael, executive director of the Washington Center for Politics and Journalism, has for years been among the wide range of Mr. Henry’s customers that have gotten to know Appl, including congressional staffers, politicians, journalists and ordinary working people. Ross said that because of his declining health, Appl had to cut back on the days he worked in recent years. In the last three or four months, Appl wasn’t able to work at all following the replacement of a heart pacemaker and additional complications associated with his heart ailment. However, on his 79th birthday on July 6, Appl returned to Mr. Henry’s where employees and friends helped him celebrate. Sharman, who has access to some of Appl’s personal documents, said he is survived by two brothers who currently live in Germany and three nephews, two of whom live in Germany and one in Switzerland. Ross said a memorial tribute for Appl is tentatively scheduled for Saturday, Sept. 6 in the upstairs room at Mr. Henry’s. He said further details of the memorial event will be announced on the Mr. Henry’s Facebook page.